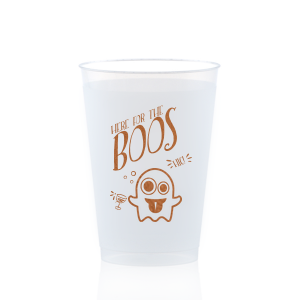 Sip your “boos” in style with customized Halloween 12 oz frosted cups! Design personalized Halloween 12 oz frosted cups that complete your party decor today! 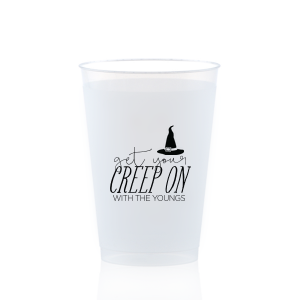 Create the perfect personalized Halloween 12 oz frosted cups for your haunted house or Halloween party! 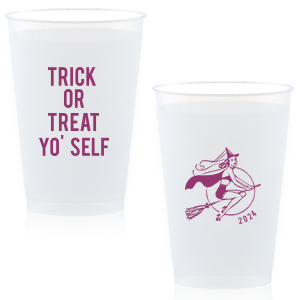 With Halloween designs that range from witches on broomsticks to cute little mummies, you’ll find a look for your custom designed Halloween 12 oz frost flex cups. 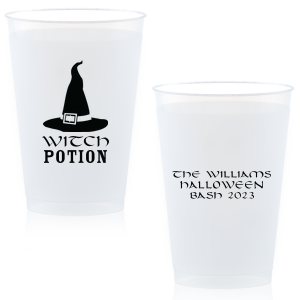 You can even upload your own design for ultimately personalized Halloween 12 oz frosted cups. 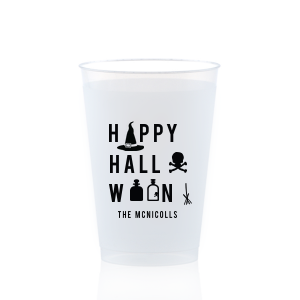 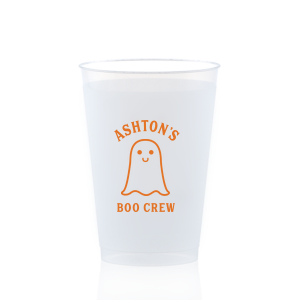 Pass your hauntingly delicious signature cocktails in personalized style with custom Halloween 12 oz frost flex plastic cups. 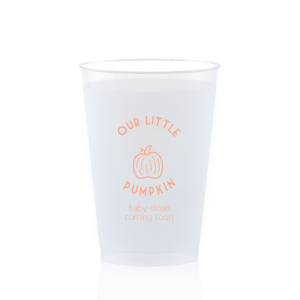 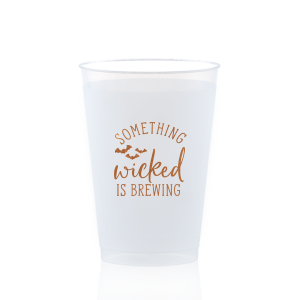 Reusable, BPA free, dishwasher safe and shatterproof, your personalized Halloween 12 oz frosted cups can be given as party favors, too! 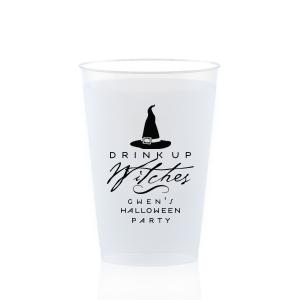 Your guests will fondly remember your Halloween party as they reach for our customized Halloween 12 oz frosted cups in the days to come. 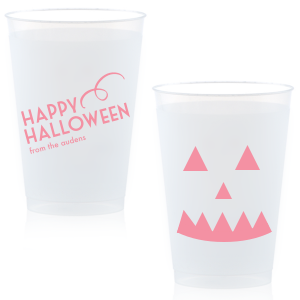 Design your personalized 12 oz frosted plastic Halloween cups today!